Disney World planning can be downright overwhelming, but that is where we come in. We have all the articles and tools you need to plan your trip from beginning to end. To help you get started, we've collected all of our most helpful planning resources and put them together on this page. Whether this is your first Disney World vacation or you simply need a refresher, we have you covered. Want Disney World news & updates delivered right to your inbox? Disney World vacation planning is kind of like building a house - you start with the foundation and work your way up. And, just like with building a house, you might end up with something you're not very happy with if you try to do it out of order. These 6 steps are the basis to everything you'll find on this site. If you're new to planning, this is where you need to start. Disney has gotten very good at filling what was traditionally less-crowded times of the year with special events, runDisney races, and sport/cheer competitions. But there are still definitely some times of the year that are busier than others. Plus, even though Florida is known for having lots of sun, you'll likely want to take the weather into consideration, too, if you're trying to avoid the intense heat of the summer or the hurricanes of the fall. Step 1 means looking all of those factors (plus more!) and then picking the dates that will work best for you and your family. Where you decide to stay will have a direct impact on some very important parts of your vacation. Things like your FastPass+ booking window and even your transportation options from the airport are tied to whether you choose to stay on Disney property or venture offsite to where you'll (typically) find less expensive options. While price is understandably the first factor you'll need to consider, most guests visiting the Walt Disney World Resort find that weighing the value of the perks associated with the onsite resorts versus the lower costs connected to the offsite options can sometimes be a bit tricky to navigate. Step 2 helps you explore those choices and gives you the facts you'll so that you find the perfect place to rest your head during your vacation. After you've decided when to go and where you'll be staying the next thing you need to do is decide where you'll spend each day. Disney World is home to 4 amazing theme parks (Magic Kingdom, Epcot, Disney's Hollywood Studios, and Disney's Animal Kingdom), 2 world class water parks (Typhoon Lagoon and Blizzard Beach) and a giant shopping district (Disney Springs). And, although you'll want to see and do it all unless you'll be moving into Cinderella Castle (which unfortunately you can't) you are going to have to pick and choose. This is just a suggestion. All families vary. For instance, families with younger children and only 3 days in the parks might want to do 2 days in the Magic Kingdom. It's also a great idea to have 1 day out of the parks for every 3 days in the park. Arrange it however it makes sense for your family. Once you have nailed down how many days you want for each park, you'll need to decide where you'll plug that into your vacation. Your goal is going to be to plan each of your days so that you're visiting the park with the lowest crowds. Step 3 is where you'll do that. We have monthly crowd calendars that show you which parks are recommended for each day of your vacation, and those will be the key to picking the best park for each day of your trip. Disney World is packed with lots and lots of amazing restaurants. And with so many fun places to eat, it is very common for people to want to decide where they will be dining before they ever pick what park they'll be at that day. But please trust us: you do not want to do that. The reason dining falls at step 4 is that you need to plan your dining after you know where you'll be each day. The entire Walt Disney World Resort area is huge (roughly the size of San Francisco), and unless you want to spend hours each day on a bus crisscrossing the property going from meal to meal, you'll need to be a lot more strategic in how you plan where to eat. Step 4 gives you everything you need to know about dining at Disney World so you can find the perfect restaurant options nearby where you'll be. Don't let the rumors and stories about long lines at Disney World fool you: the people that wait in lines at Disney World are the ones without a touring plan. Touring plans don't have to be rigid minute-by-minute lists. But our plans will help you maximize your day so that you have lots of time left for all the spontaneous things that make any vacation fun. Step 5 has both pre-made touring plans and resources for people that want to put together their own. The final thing to do when planning your vacation is to figure out ways to add some extra magic to your trip. This step doesn't necessarily mean that you need to spend more money (although that is definitely an option); it just means you are intentional about ways to add a little extra **pixie dust** to your trip. For lots of people, this is the step that really ties their entire vacation together (and gets them hooked on planning lots more Disney World trips!). As you continue down this page you'll find resources that can help you add some extra magic to your vacation. You'll find info on things like planning your vacation around a theme, putting your crafting skills to work, making invitations, special meals, or even putting together fun travel bags for your journey to Disney World. If you want to think of planning a Disney World trip like the steps in the construction process, Steps 1-5 above help you build your house, but Step 6 is where you get to decorate it. Ready for some more info? Check out the sections below to help you plan. Our weekly newsletter provides a quick and easy-to-read summary of the most important Disney planning news of the week. From helpful tips to the latest discounts to breaking news about refurbishments and closures, we'll make sure you have everything you need before you ever leave home. Disney World has something for just about every visitor. Whether you are heading there to check out one of the popular runDisney races or you're a huge fan of Star Wars or you simply love all things Disney Princess, lots of people find themselves planning their vacation around their Disney interests (and passions!). Think that sounds like you? You'll find some of the most popular themes for trips below. 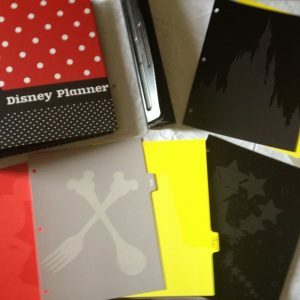 These articles are some of the most popular on the site for a reason: they provide both Disney World newbies and seasoned visitors with additional tools for their virtual Disney planning toolboxes. We are big fans of being prepared, and, you probably are too (or you wouldn't be on this site). These articles are all things that can help you be prepared before, during, and after your vacation.